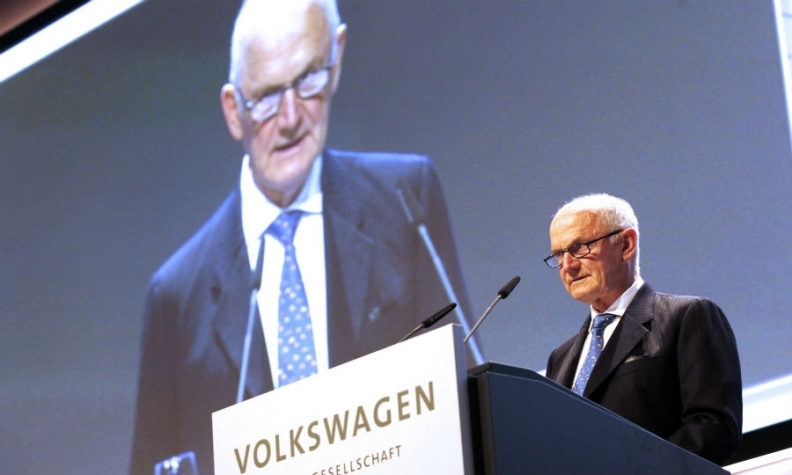 Piech sold his VW shares in April. Piech "destroyed his life's work," his cousin Wolfgang Porsche said. The battle between the Piech and Porsche families, who hold a majority of Volkswagen Group shares through Porsche Holding SE, dates back decades. A documentary by German broadcaster ZDF once again tells the story behind the dispute. Ferdinand Porsche, the man who created the Porsche, divided his inheritance in equal parts between his children Ferry Porsche and Louise Piech. The two siblings had been in a highly competitive relationship since their childhood. This rivalry continued into the generation of the grandchildren of Ferdinand Porsche, whose most important representatives are Ferdinand Piech and Wolfgang Porsche. Wolfgang Porsche made extensive comments in the film. For example, he recounted that a consultant years ago proposed that Ferry Porsche adopt Ferdinand Piech so that he could bear the Porsche name. Very early on, "non-name bearer" was apparently a favorite epithet for Piech. It was clear early on that he was the only grandson who was in a position to follow in the footsteps of his grandfather. Ferdinand Piech enhanced Porsche's reputation with the 917. Much like Ferdinand Porsche, he is a tinkerer who has always wanted to achieve the best possible results without regard for costs. He thinks little of the rest of the family. "I am a wild boar. You are domestic pigs," he allegedly said on one occasion, insulting relatives at family meeting in 1970. He meant that he was a fighter while they were accustomed to being waited on. Ferry Porsche had convened the meeting to try and bring peace to the warring sides of the family. When that failed, he decreed that all family members must give up all operating positions at Porsche. Ferdinand Alexander Porsche, the designer of the 911, founded the Porsche Design Studio, while Ferdinand Piech went to Audi, where he turned the dusty brand into a technological leader and premium manufacturer with innovations such as the TDI diesel engine, an aluminum car body and all-wheel-drive. He rose quickly at Audi, ascending to CEO, and ultimately took over as chairman of the VW Group in Wolfsburg at a time when both Porsche and VW were mired in crisis. While Wendelin Wiedeking was restructuring Porsche, Piech was gearing VW for success. In large measure, it is to his credit that VW is the world's largest automaker today. But his strict leadership style, which was adopted by his successor Martin Winterkorn, created the company culture that made VW's emission-rigging scandal possible, many experts agree. "VW doesn't have executives. VW has implementers," a former executive said. It was only after Piech's time as CEO, when he served as chairman of the supervisory board, that Wiedeking developed a clever plan, initially with Piech's consent: Porsche was to acquire the much larger VW Group. The plan failed and Porsche brand was integrated into the group. Nonetheless, the family benefited tremendously. Instead of owning a small sports car manufacturer, they held the majority of the largest car company in Europe. Wolfgang Porsche (right) accused his cousin Piech (left) of deliberately sabotaging the planned takeover of VW by Porsche. But Wolfgang Porsche now accuses his cousin of deliberately sabotaging the planned takeover, using those precise words. Piech "threw a wrench in the works," he said. "That is unnecessary. That is impossible." The act led to the further estrangement of the families, he said. The reason for Piech's change of heart was allegedly that he would not have been the most powerful man in the company in the event of the plan's success, but would have been below his cousin Wolfgang Porsche, the supervisory board chair at Porsche. Piech declined to comment for the ZDF documentary. Piech left VW in April 2015 after criticizing VW CEO Martin Winterkorn ("I am distancing myself from Winterkorn," he said). The majority of VW Group's supervisory board, including Wolfgang Porsche, took Winterkorn's side. After the disclosure of the emissions scandal, which plunged the group into a deep crisis, Piech is supposed to have grievously incriminated the supervisory board and his cousin during an interrogation by the Brunswick state attorney’s office in Germany. He said he informed the supervisory board about the manipulation of diesel exhaust levels months before the official disclosure. Members of the supervisory board and the VW Group sharply rejected the allegation. In the documentary, Wolfgang Porsche took aim at his cousin with the remarks: "You can't choose your relatives." Piech sold his shares in the VW Group to his brother Hans Michel Piech in April 2017. 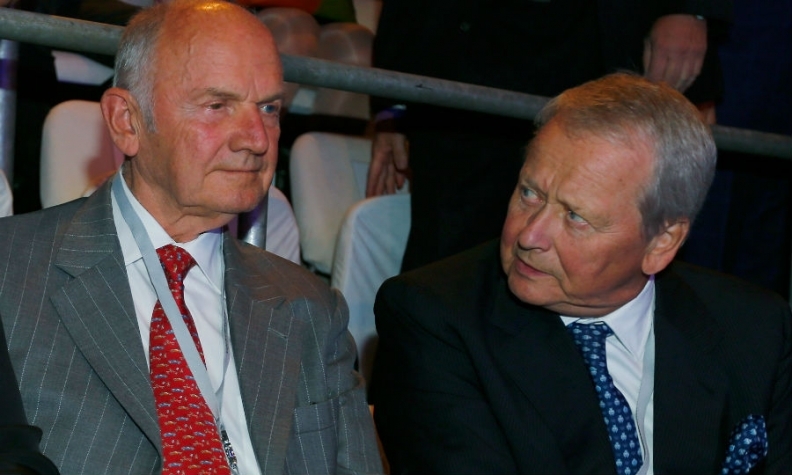 "Ferdinand Piech has destroyed his life's work," Porsche said. Members of the next generation are gradually being integrated into the supervisory boards. There is no sign of the next Ferdinand Piech, someone who will bravely move in new directions and combine brilliant engineering skills with entrepreneurship in the style of an Elon Musk. It is still an open question as to whether the fight between the different clans can be resolved. In view of the challenges now facing the company, this would certainly be helpful. "If we hold together," said Wolfgang Porsche at the end of the film, "We are incredibly strong."